Good and evil; war and peace; light and darkness; pride and humility; right and wrong; unjust and just; truth and lies. Words of reverse meaning (antonyms) often provide more insight and impact than do words with similar meanings (synonyms). There’s nothing like comparison through stark contrast to grab our attention and heighten our understanding and appreciation for concepts at the extreme ends of a physical, moral, or spiritual spectrum. Even oxymoronic phrases such as, “Until hell freezes over,” serve a purpose, I suppose. In this instance to amplify the idea that some things just don’t go together … never have and never will. Unlike hot and cold, there are many words that don’t have an antonym; but that’s no problem. So if you’re against something like abortion (good for you), then how do you express your disagreement with just a one-word opposite? As we all know, anti means against and/or in place of. In the English language there are hundreds of words that allow the prefix, anti, in order to convey the exact opposite. Such as anti-abortion. What better way for the Bible to accentuate the ultra-antithesis of the true Christ (Messiah) than to tag his evil counterpart—who was born in the first century a few years after Jesus ascended to heaven—with the name (that says it all) of Antichrist. For that is exactly what he was and will be again upon his return as the beast from the Abyss. Yet, before the Apostle John coined the term Antichrist in the first century, both the Prophet Daniel and the Apostle Paul described this infamous man with other titles. When we understand the reason for Scripture’s different names of Antichrist and the context of those passages, then we will better comprehend that the future Antichrist is also the (past) historical ruler, king, and man of lawlessness. In last week’s article, we examined Daniel’s appellations of little horn and king … then continuation of king as found in Revelation Chapters 13 & 17. 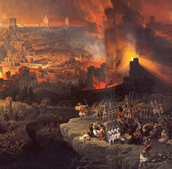 This week we will scrutinize another descriptive term by Daniel in his prophecy of a coming Ruler, whose armies would destroy Jerusalem and the Temple; this same ruler would then orchestrate a seven-year treaty with Israel that is a catalyst to the Great Tribulation. Equally significant: To recognize that there is an extraordinary (what is now a lengthy) interlude announced by Daniel between the destruction of the Temple and the seven-year treaty. But it’s still the same ruler involved in these two events, already separated by nearly 2000 years! Then Paul’s phenomenal present tense exposure of this wicked ruler called by Paul, The Man of Lawlessness. “After this period of sixty-two sets of seven, the Anointed One will be killed, appearing to have accomplished nothing, and a ruler will arise whose armies will destroy the city and the Temple. The end will come with a flood, and war and its miseries are decreed from that time to the very end. The ruler will make a treaty with the people for a period of one set of seven, but after half this time, he will put an end to the sacrifices and offerings. And as a climax to all his terrible deeds, he will set up a sacrilegious object that causes desecration, until the fate decreed for this defiler is finally poured out on him” (Daniel 9:26-27). Bible scholars have astutely and accurately identified the Anointed One as Jesus who, to the very day when he rode into Jerusalem and was hailed as Messiah, fulfilled precisely the 483 year prophetic time-clock of Messiah’s appearance as predicted in verses 24 and 25 of this chapter. Then Daniel tells us that after Messiah is killed, appearing to have accomplished nothing, a ruler would arise…. The Hebrew word translated ruler in the New Living Translation just quoted, and rendered prince in, for example, the New American Standard Bible is: Nagiyd. (Pronounced, naw-gheed). The English translations of prince, overseer, or ruler (in various capacities) correctly reflect the original Hebrew word. Clearly conveyed, however, is that the term prince or ruler is a generic designation, in contrast to a more position-specific title such as King. Although several languages use the positional title Prince to identify a particular historical ruler, the term prince is more frequently employed to simply label someone in authority in any number of administrative or nobility positions. And, of course, ruler is an all-purpose term that can refer to just about any person of prestige or power. Daniel’s first vision of the Antichrist was that of a Little Horn in Daniel Chapter Seven; also a general description as the primary emphasis was that of his proud boasting against God from a platform of authority recognized and accepted by the world at large (as subsequently confirmed by Revelation Chapter 13). But then switched to a king who would suddenly appear in a specific sphere of influence; that he would rule over ten already established kings/nations during the Tribulation. Yet in Daniel’s portrayal of the Antichrist as recorded in Chapter 9, he wouldn’t have known, nor did the Angel Gabriel disclose to him the exact title of what would later be a Roman ruler or even more definitive, a Roman Caesar. Thus, the angel utilizes the term of ruler which is a title anyone in Daniel’s time (or any time of history) would easily grasp. Sometimes a prophecy given by God to one of his prophets will be spectacularly specific, such as naming Cyrus some 150 years before he was even born to be the Persian King, who would allow the Jews to return to Israel. Most often, however, Scripture provides just enough information to get the attention of those alive when the prophecy is given, then dramatically captures the focus of those alive when the prophecy is fulfilled. Between the former and the latter, anyone who possesses any degree of anticipation, expectation, or intrigue is soon full of enthusiasm when the prophesied person appears or the event unfolds. Its like: WOW, this is actually happening in our lifetime. Which is exactly the positive response of many when Messiah Jesus was born in Bethlehem of a Virgin, then thousands more when Christ miraculously arose from the dead; and the equally negative reaction of Christians during Nero’s reprehensible reign as Caesar. I believe God does this on purpose for our benefit. He wants us to take the time and effort to carefully observe and match the historical event to a long-ago Biblical prophecy; to better appreciate the intricacies of both the prediction and its accomplishment. But also to validate Scripture’s claim that the God of the Bible is the ONLY true and living God … through the miracle of fulfilled prophecy. That this ruler is none other than Nero is extensively documented in my book, Out of the Abyss, by, as alluded to in last week’s article, dissecting and then correlating first century history to all Biblical references of Antichrist, none more so than this passage in Daniel Chapter 9. In order to maintain the hypothesis of a revived Roman Empire proposed by many students of prophecy (which is based on the improper substitution of the English word kingdoms for the Greek word for kings in Revelation 17 and disregarding the personal pronouns used for these kings and the 8th king who is one of the seven kings … five who were already dead, one reigning, and the seventh to come, whose reign would be very brief), the Roman Legions (armies of Daniel 9) are linked to this ruler, who is perceived as a modern-day born man, even though doing so stretches this linkage to the breaking point. 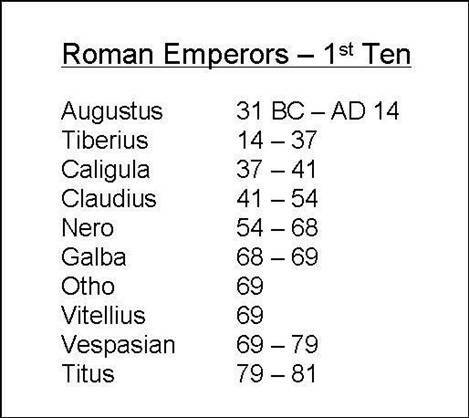 In other words, the ruler and his armies (Roman legions) are most assuredly coupled, but this connective association actually took place in the first century. As we shall see, this prince would arise shortly after Messiah Jesus was crucified, as opposed to what would now be a totally impractical and illogical time-lapse of nearly 2000 years. It’s essential that we grasp the grammar and syntax of exactly what Daniel is relaying to us in Chapter 9. (1) The possessive pronoun “whose” (armies) grammatically and prophetically bind the ruler to the actual armies that would destroy Jerusalem and the Second Temple. This fateful prophecy was agonizingly realized in 70 AD when the Roman Legions utterly demolished the Temple and destroyed much of Jerusalem, killing hundreds of thousands of Jews. The indisputable historical evidence clearly shows that this cruel campaign to crush the Jews had been ordered by Nero in 66-67 AD; moreover, he hand-picked the two Roman Generals who carried out his orders—Vespasian and Titus. If the ruler is a modern-day man, then this verse doesn’t fit. Worse, the first part of the verse is simply inaccurate. What am I saying? I am saying that … we can look back some 2000 years and clearly see the monumentally astounding accomplishments of Christianity. Yet Daniel 9:26 effectively tells us that the ruler will sequentially rise to power during the time that Messiah’s death “appears” to have accomplished nothing. In other words, the ruler would arise fairly soon after Messiah is killed. Nero was born just three to four years after Christ died, and he ruled as Emperor just two-three decades (later) … Christianity was still in its infancy. To the populace of Israel, the Roman Empire and world at large, the tragic death of Jesus of Nazareth seemed to have accomplished very little. To Jewish Zealots, Jesus’s death accomplished absolutely nothing … It took several centuries for Christians and the secular world to comprehend the increasing influence that the death, burial, and resurrection of Jesus Christ had exerted on the world. (Pages 256-257). The Hebrew word for people … means people(s) people of a nation, members of one’s people, kinsman, or compatriots … invariably when relating people to a nation, king, ruler, or to God, the word is employed in the logical and sensible Scriptural context of possessive, immediate, or generational relationship…. I go on to say that the people of the prince or ruler that Daniel foretells, … includes all of the prince’s country-men; but more exactly it was the armies (Roman Legions) of this people that fulfilled the prophecy…. But whose armies are they? Whose people are they? If you study the text carefully, there is a clear possessive correlation between the ruler and the armies or the people…. Whose is possessive, meaning those armies or people specifically belonging to that particular ruler…. The people directly affiliated, associated, or united with the prince destroyed the Temple. Then a few paragraphs later: Where have you ever read or seen or thought that a ruler of any era would be connected to armies or people hundreds or thousands of years earlier. All monarchs, both in Biblical and secular history, are linked directly with the armies of that particular time of the ruler’s life. And, as indicated, whenever the Hebrew word “am” (meaning people) is used throughout the Old Testament in conjunction with a ruler and a people, it is used to specify an immediate, real-time connection between the leader/nation and the people belonging to that leader… Why, then, should Gabriel and Daniel mean a far-off, time-warped differential between the Roman Legions and a prince that wouldn’t arrive on the scene for what is now a nearly two-thousand year gap? (Pages 254-256). Daniel goes on to explain that the same ruler whose armies would destroy the Temple would then make a treaty with Israel, which is the Biblical passage specifying that the Tribulation is for a period of seven years. But before Daniel announces this seven-year treaty and the ruler’s violation of the treaty half way through, we have one remarkable interval between the end of verse 26 and the beginning of verse 27 that many Bible scholars have overlooked, missed, or dismissed (in terms of its chronological impact). There’s no doubt in the syntax structure of verses 26 & 27, that the decisive events described are sequential. I repeat: no doubt whatsoever; if for no other reason that the connecting words and the logical progression of occurrences are given in a specific order. Here’s what the text says: “…whose armies will destroy the city and the Temple. The end will come with a flood, and war and its miseries are decreed from that time to the very end. The ruler will make a treaty with the people…” (Daniel 9:26b, 27a, italics for emphasis). I’ve italicized the crucial interim period of time that clearly separates the (now) historical sacking of Jerusalem in 70 AD from the yet-to-come seven-year Tribulation treaty engineered by the SAME ruler whose armies destroyed the city and the Temple. The end will come … war its miseries from that time to the very end is expressive apocalyptic language to describe the Great Tribulation. This is absolutely astonishing, and can only be truly apprehended and appreciated by realizing that the ruler (Nero) whose armies destroyed the Temple will also be the same ruler who will mesmerize the entire world by his astounding return from the Abyss; which will enable him to strike a treaty with Israel at the outset of the Tribulation, then break this treaty in 3 ½ years followed by an all-out onslaught against Israel and the tribulation saints for another 3 ½ years. Thus, even without Revelation 17 which clearly and emphatically tells us that the 8th king (the Antichrist scarlet beast) is from the seven and had lived and died before John even saw this beast-king; history itself validates Daniel’s incredible prophecy that the armies of, controlled by, and subsequently ordered to crush the Jewish rebellion belonged to none other than the Roman Emperor, Nero. Combining Revelation 17 with Daniel 9 (and also Daniel 7), we have not one, but two historical and irrefutable proofs that the future tense ruler of Daniel’s prophecies became the first century PAST TENSE king-beast ruler known as Nero. “…For that day will not come until there is a great rebellion against God and the man of lawlessness is revealed—the one who brings destruction … He will even sit in the temple of God, claiming that he himself is God. Don’t you remember that I told you about all this when I was with you? And you know what is holding him back, for he can be revealed only when his time comes. For this lawlessness is already at work secretly, and it will remain secret until the one who is holding it back steps out-of-the-way. Then the man of lawlessness will be revealed, but the Lord Jesus will kill him with the breath of his mouth and destroy him by the splendor of his coming” (II Thessalonians 2:3-8). In this abbreviated review of the man later called Antichrist and the beast (of Revelation), we need to concentrate on the present tense grammar and the obvious implications thereof; to both the man of lawlessness and the secrecy of the lawlessness (that he was part of) that was being restrained or held back at the very time that Paul wrote this letter to the Church at Thessalonica. First, a brief historical context: Paul wrote II Thessalonians in 51-52 AD, and the Temple of Jerusalem was very much intact. Believers expected that the desecration that Daniel, Jesus, and Paul spoke of would take place in none other than Herod’s Temple, in their very near future. In fact, it’s abundantly clear throughout the entire New Testament, especially from the Apostle Paul, that the Christians at that time fully expected Jesus to return any hour of any day. The “imminent return of Christ” was more alive and real in the first century that it has been ever since, with the possible exception of today’s passionate hope that his return is very near. It’s just that the Holy Spirit had not revealed to Paul that the desecration of the Temple would take place in a 3rd rebuilt Temple, to replace Herod’s Temple that would be destroyed less than twenty years after Paul’s letter to the Thessalonians. But I’m convinced that the Holy Spirit had disclosed to Paul the identity of this man of lawlessness, even though Paul could not and would not refer to the man by name … upon penalty of death and intense persecution of Christians, which would have begun as soon as Nero unlawfully ascended the throne, if not before. In fact, later in Nero’s reign, tens of thousands of Christians were murdered and both Paul and Peter were executed. Nero was subsequently “revealed” as the man of lawlessness, but not yet as the Beast-king. Nero’s future (resumed) fulfillment of his anti-Christ agenda would not fully materialize until the Day of the Lord had begun … precipitated first by the Rapture, then shortly followed by his (the beast-king’s) return from the Abyss. How can we know with absolute certainty that Paul was referring to this man of lawlessness (who we know is one and the same as the little horn, ruler, king, and would be (later) called Antichrist and the Beast) as one who was already alive on planet Earth; as opposed to some far-off unborn ruler who would initiate a great rebellion against God? Before answering that question, let’s also be reminded that Nero did exactly that. Not before Nero instigated and personally supervised a savage vendetta against Christians at the hands of an entire empire or until Nero resumes the rebellion during the Great Tribulation, has there ever been such brutality on this scale. Against the Jews as a race and nation, yes; but not against people from all races, nations, and languages, so identified because of their belief in the substitutionary death, burial, and resurrection of Jesus as their Messiah. Ironically, Nero’s direct participation in this first century persecution of Christians lasted about 3 ½ years, the same period of time that his diabolical revolt against God, and torture and death of Christians and Jews will last during the Great Tribulation. The following is how we can irrefutably conclude that Paul was telling us exactly who the man of lawlessness was and would be, without actually stating his name. Once again let’s read the words, this time from the New American Standard Bible: “And you know what restrains him now, so that in his time he will be revealed … only he who now restrains will do so until he is taken out of the way” (II Thessalonians 2:6-7, italics for emphasis). Who or What Holds Back the Man of Lawlessness & the Secrecy of the Lawlessness? According to Paul, the restrainer “is” (at that time) holding the lawless one back. This present tense application is augmented by the fact that what restrains is holding “him now.” Not later, not in some distant future, but right then and there while Paul informed the believers. Paul obviously is not referring to a man who hadn’t even been born yet. Nor does the text state or imply that the man of lawlessness is currently restrained from being born; in fact that would make no sense whatsoever. Think about it. How could or why would the man be restrained if he wasn’t already alive? If Paul was referring to this man in the future tense (not what the man would do … that was still future), he would have said, “and you know what will hold him back.” The present tense grammar of the text yields a convincing conclusion; this man of lawlessness was already being held in check. 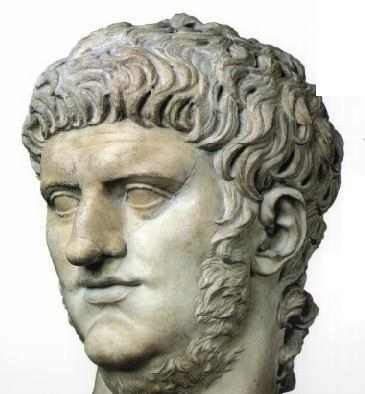 Newsflash: Nero became emperor in 54 AD, but Claudius Caesar and his wife, Agrippina (Nero’s mother), were already touting Nero as successor when Paul wrote I and II Thessalonians. Furthermore, all of Rome knew that Nero would not be a lawful successor to the crown. 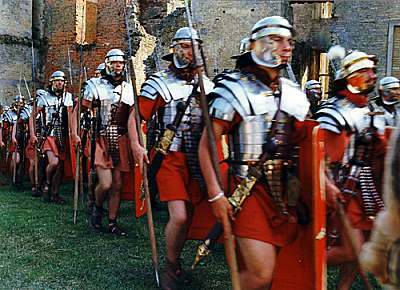 Romans had already prided themselves and their empire as the first and greatest law and order society in history. And, as we saw earlier: Paul wrote II Thessalonians in 51-52 AD. That’s a bit more than coincidental, don’t you think? (Page 191). Before that, Paul referred to the restrainer as “what is holding him back.” The him of this verse is the man of lawlessness and the what (as clearly explained in Out of the Abyss) was the Roman government including the Senate that represented the people, and to a lesser extent the Roman legions. Moreover, the Holy Spirit is NEVER referred to by a neutral or impersonal pronoun anywhere in Scripture; rather, the Holy Spirit is always referred to by the personal pronoun, he or him. Why then would Paul even remotely imply that the pronoun what of this passage is the Holy Spirit? Yet, that is the (mistaken) association by many scholars, i.e. that this impersonal pronoun substitution (what) is the Holy Spirit, himself. Furthermore, why would Paul be reluctant to identify or enunciate the name of the Holy Spirit in this context; when non-believing Romans or Greeks would have been oblivious to something or someone called the Holy Spirit? When, in fact, Paul often mentioned the Holy Spirit throughout his epistles, and even references the Holy Spirit in verse thirteen of this same chapter in II Thessalonians. It’s completely logical why Paul withheld the name of Nero, Claudius, or Agrippina, all of whom were part of the lawless scheme to make Nero the next Emperor. But no reason at all for Paul to evasively disguise the Holy Spirit as the impersonal (force) that was holding the man of lawlessness in check until the secrecy of this lawlessness was fully exposed (later in 54 AD). The lawlessness Paul cited in this passage was the Machiavellian-style political intrigue and covert maneuvers underway through what would later become a (successful) conspiracy by Nero’s mother Agrippina to assassinate her husband, the Roman Emperor Claudius—which would pave the way for Nero to become Caesar. Please, read the passage again: The lawlessness itself was not being held back; instead it was the secrecy of that lawlessness … known only by a select few including Paul, to whom it had been revealed. Thus it was the Roman system of law and government (what) that was holding Nero (temporarily) in check; which enabled Claudius Caesar (as long as he was on the throne) to hold back or (inadvertently) suppress the secrecy of what was unlawfully being planned by his wife and step-son Nero. But when the one who “now restrains” was taken out of the way, the clandestine, hush-hush, anarchistic plot would no longer be concealed. This lawlessness would and did rear its ugly head when Agrippina poisoned Claudius, and Nero succeeded him as Emperor. Obviously Claudius wanted Nero to succeed him, but certainly not as a result of Claudius being toppled from power by anyone, let alone his wife, Agrippina. Thus, Claudius was part of the scheme that would bypass his natural son’s right to the throne in favor of his step-son Nero. Little did Claudius realize that this plot would thicken with Agrippina’s lawless sub-plot to prematurely take him out of the picture, to remove him from power by revealing her true intention—that of Nero’s immediate unlawful ascension to the throne. (Page 201). Next weeks’ article, the final part of this trilogy, will elaborate on the remaining two names: Antichrist and The Beast. To further expand on how these two designations (alongside the man of lawlessness) comprehensively represent the composite Antichrist, i.e. body, soul, and spirit of this depraved human being. For all those who really want to accurately determine the identity of Antichrist, I am completely convinced that God wants us to know just as the early Christians knew, especially through the 5th century AD. That Nero was this man of lawlessness, the ruler, and the king (Roman Caesar) who had died; but would one day return from the Abyss as the (little horn) beast to continue his Antichrist reign of terror … but on a truly global scale. We need to know these things before the Rapture takes place, so that many left behind will not be so amazed at a False Messiah … Nero’s returns from the underworld. We need to know, before we go!